Shaftesbury Primary School is a multi-cultural school, based in the inner city of London. An extremely diverse school, there are over 40 languages spoken, with less than 10% of the students at the school speaking English as their first language. The culturally diverse school is represented by using the contrasting colours of orange and green it is emblem, alongside the words ‘Growing together.’ We were really pleased to work on leavers t-shirts for the class of 2017, which would help to reflect these values, alongside the school’s colours. 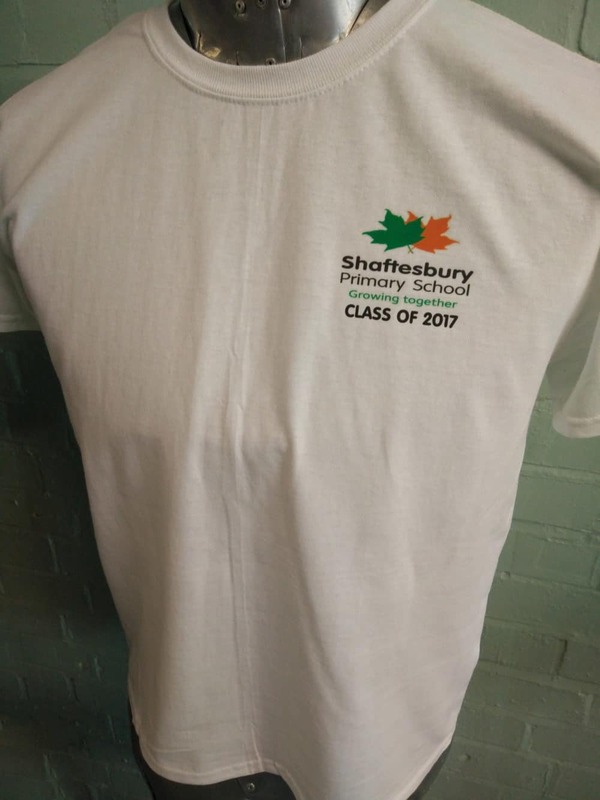 The leavers t-shirts for Shaftesbury Primary School are white and feature the school’s bright emblem, with the words ‘Class of 2017’ on the front. 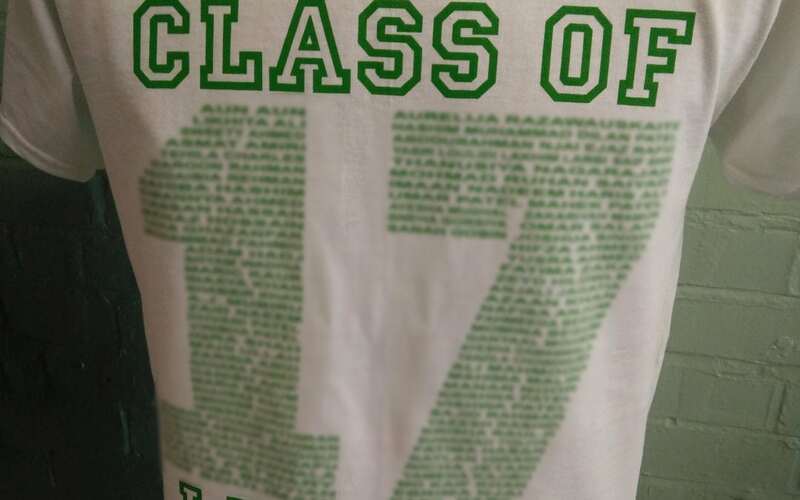 On the back of the t-shirt are the names of the students who left the school in 2017, printed and shaped into the number ‘17’. If you would like a leavers t-shirt or leavers hoodie that reflects the ethos and colours of your school, please get in touch. We have lots of options and are always happy to create something that perfectly suits the requirements of any school or college.